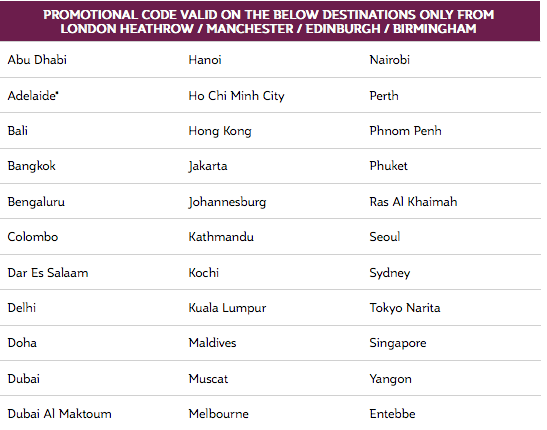 Save 5% on Qatar Airways flights out of the U.K. with this voucher code! You can save an extra 5% on Qatar Airways flights out of the U.K. when you use the code ‘FLYFIVE’ for your online booking. This offer is valid for bookings until April 18 for travel until December 15th! Simply book online at qatarairways.co.uk!